Which Type of Depression Are You Suffering From? Major Depression, Dysthymia, Seasonal Affective Disorder? So many of my clients suffer from depression. There are many different types which may be confusing to people if they compare the intensity and frequency of their symptoms to the symptoms of others. Depression is felt on a spectrum of severity. It’s very important to have a medical physical and also a psychiatrist who can assist with medications for brain chemistry. 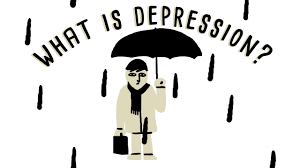 Check out this link for different types of depression. Many of my client struggle with a persistent depressive disorder -symptoms usually come and go over a period of years, and their intensity can change over time. The symptoms typically don’t disappear for more than two months at a time. In addition, major depression episodes may occur before or during persistent depressive disorder — this is sometimes called double depression. In children, symptoms of a persistent depressive disorder may include depressed mood and irritability. Because these feelings have gone on for such a long time, you may think they’ll always be part of your life. But if you have any symptoms of a persistent depressive disorder, seek medical help. Talk to your primary care doctor about your symptoms. Or seek help directly from a mental health provider. If you’re reluctant to see a mental health professional, reach out to someone else who may be able to help guide you to treatment, whether it’s a friend or loved one, a teacher, a faith leader, or someone else you trust.